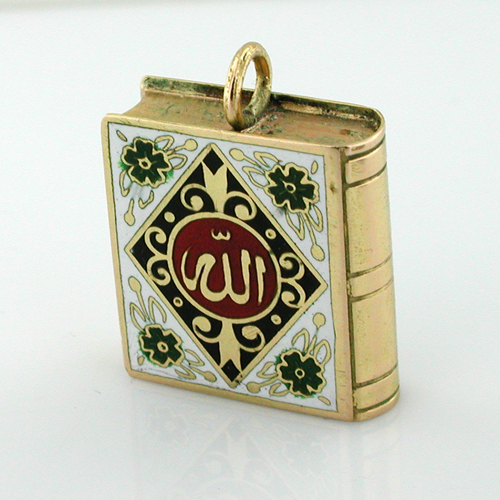 This is a fabulous vintage 18k gold Qur'an holder enameled on both sides. 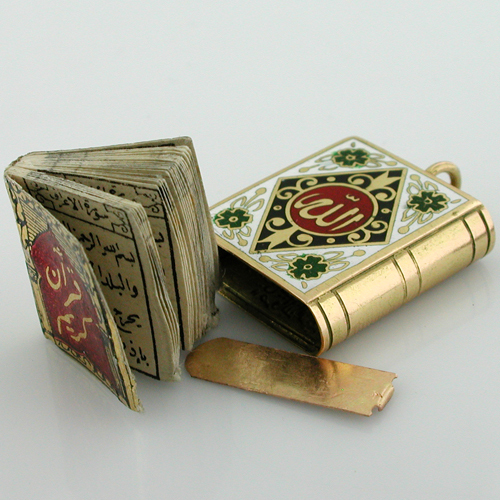 The bottom of the holder slides out to reveal a miniature edition of Qur'an, measuring 18mm x 15mm x 4mm and weighing 0.5 grams. 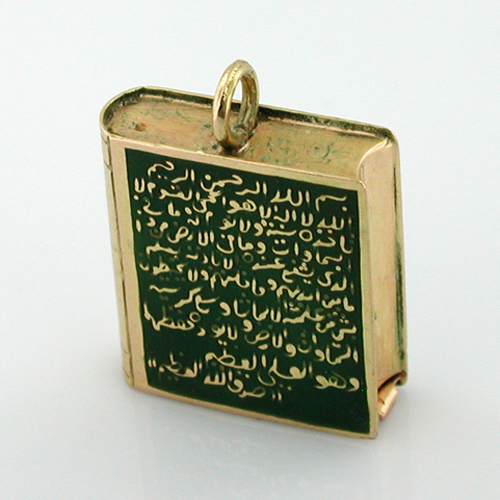 The pendant measures 13/16" x 3/4" x 1/4" (20.6mm x 19mm x 6.3mm) without ring. Total weight of the charm is 5.0 grams. Tested 18k and guaranteed to be 18k gold. 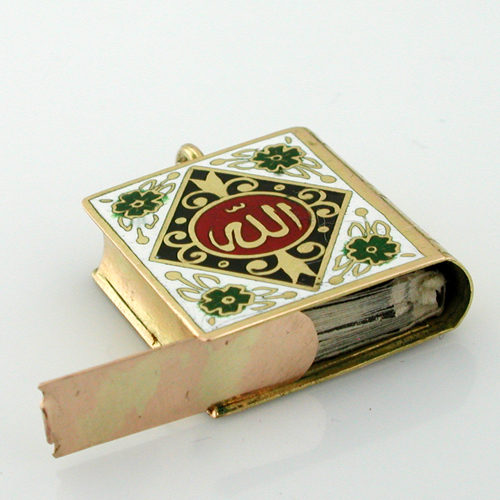 The Qur'an holder is in excellent vintage condition. 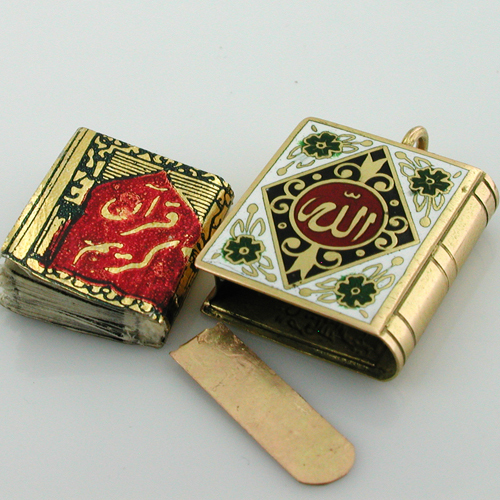 It will accommodate up to 3mm necklace.